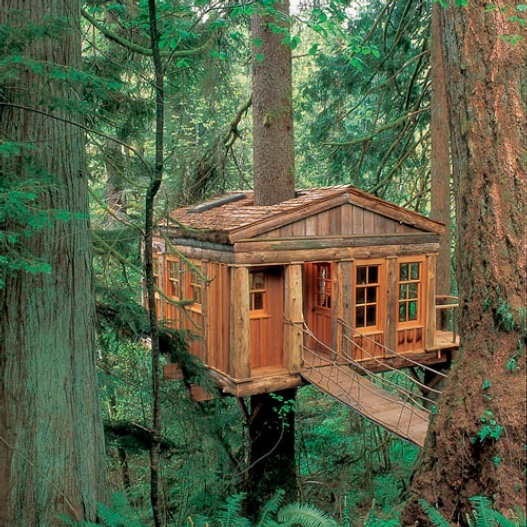 Compact and modest are words that describe the quintessential components that a childhood treehouse suggests. Kiddies find refuge in these age-old dwellings, where they play “house” and stash their beetle collection. 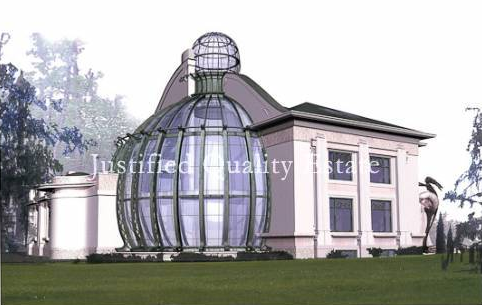 But just as with anything, there exists the high-end homes of the evergreen. 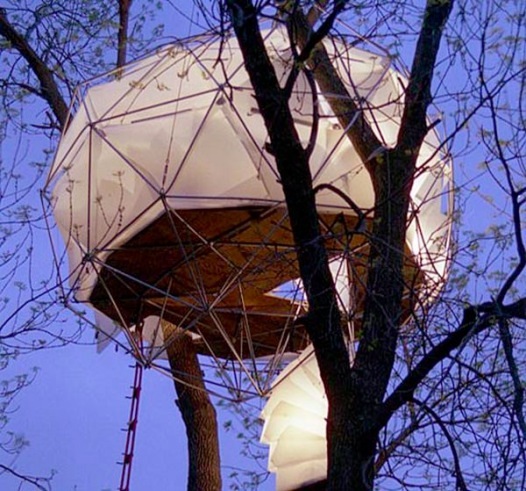 Designer Dustin Feider demonstrates this with his customizable O2 Treehouse, built with recycled material in an opaque dome shape, sitting more than 50 feet above the ground. Or talk to Tom and Katy Cruise, who have plans to build their little Suri a house in the trees costing $100,000. 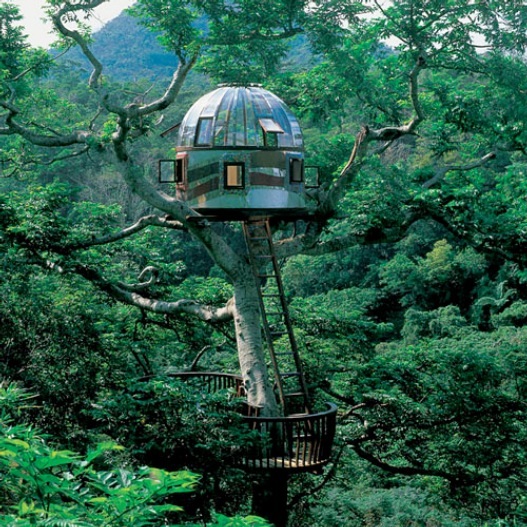 Pete Nelson, treehouse extraordinaire, has captured images and designs of his favorites in his book Treehouses of the World. Highlighting the majestic, Nelson admires a humble classic constructed out of local wood in Fall City, Washington, nostalgic of a much simpler time, and withstanding the force of a typhoon, a glistening copula on the Japanese island of Okinawa, used as a rest stop for backpackers. Right here in The States stands a house that breaks the standard of small and quaint. 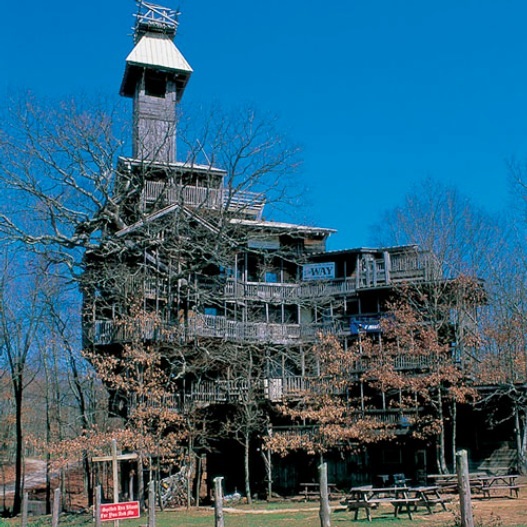 The Horace Cathedral, in Crossville, Tennessee, represents Horace Burgess’s way to get closer to God, the structure towering over the oak trees that act as its foundation. Whatever the occasion, these extravagant versions of a cherished remnant of youth seem to have risen to a higher caliber.